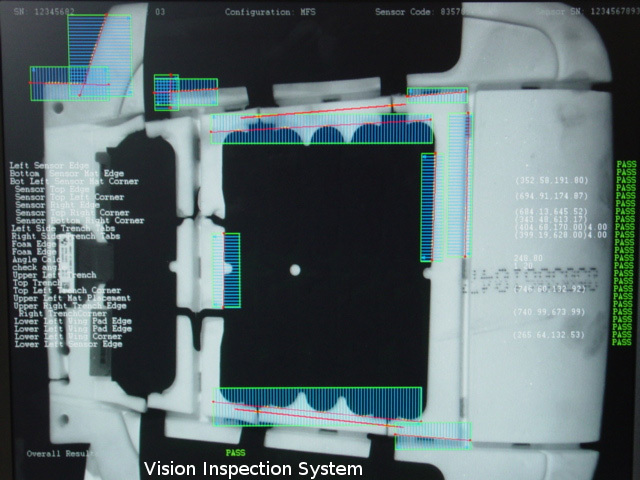 Contracted to make a multi station end of line tester for Futuris Seating, a seat manufacturer for Tesla Motors, LM3 recently invested more than 2000 engineering hours for R&D on a generalized test sequencer capable of both Delphi PODS calibration and end of line function testing. 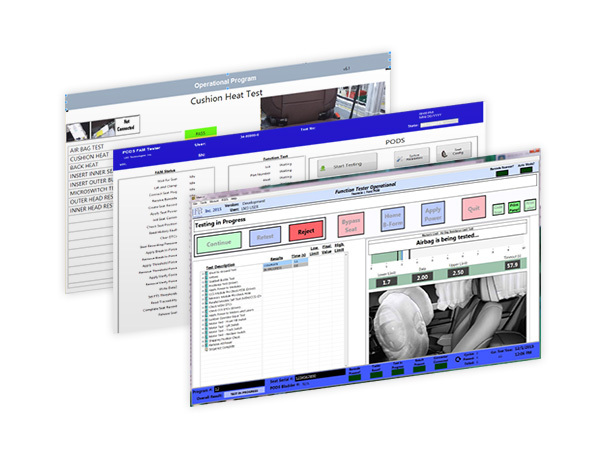 Designed for the automotive industry, the software package is hardened to run in a 24/7 manufacturing environment. 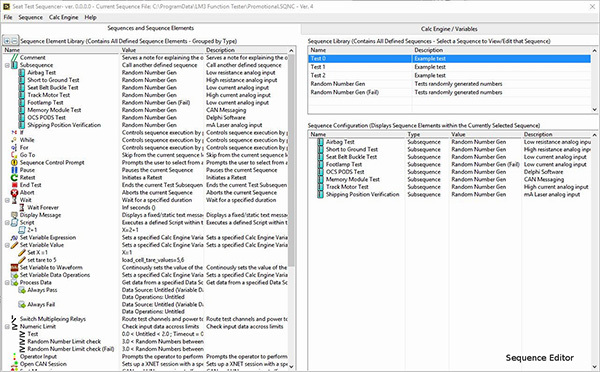 Based on NI’s TestStand, LM3’s Test Sequencer Software is a test management package that eases tester deployment and long term upgrades by allowing custom sequence configuration using an intuitive sequence editor. Because LM3 owns the source code, long term continuous improvement and unlimited customization is always within reach. Call Us at 312.376.8305 or send us a message. 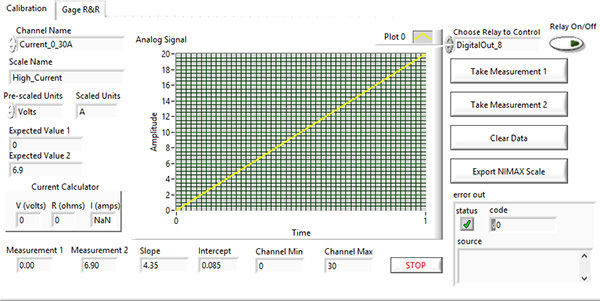 LM3’s first (1999’) and recent version of its testing software was and is developed using National Instruments LabVIEW development system and has been continuously improved over the last 17 years. The capabilities of NI LabVIEW have proven to be less complex and more adaptable than fragmented automation packages provided by similarly marketed development systems. 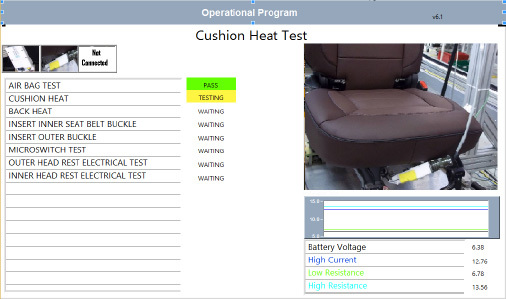 For continuity sake for manufacturers using our legacy testing hardware, LM3 modified its original seat testing software package to work with its latest version hardware package. This version of software modularized the connection to DAQ hardware for greater longer term flexibility in hardware. LM3 also continues to develop its PLC based tablet mHMI software for additional functionality including storing test results to a remote SQL database. 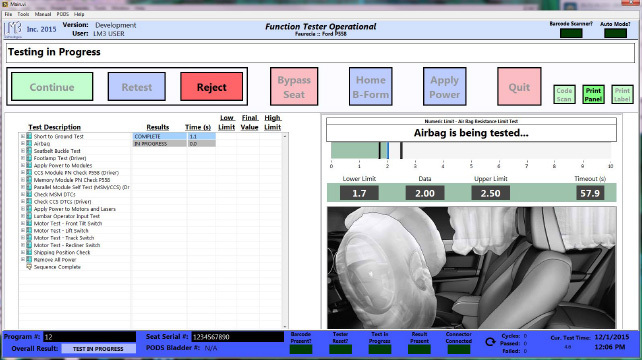 Furthermore, LM3 has developed a stand alone software application for use with our version 5 hardware package in order to perform Delphi PODS calibration along with climate control function testing.